Just so you know this ain’t your mama’s cranberry sauce. Although, if it is…I want to eat at your house sometime! You need, Fresh Cranberries, Dried Cranberries, Cinnamon Sticks, Sugar, Water and Port Wine. First up, pour about a cup of port into your pot, and add 2 – 3 cinnamon sticks broken in half. Bring to a boil, then turn the heat down and let it simmer for a few minutes. (This smells divine!) 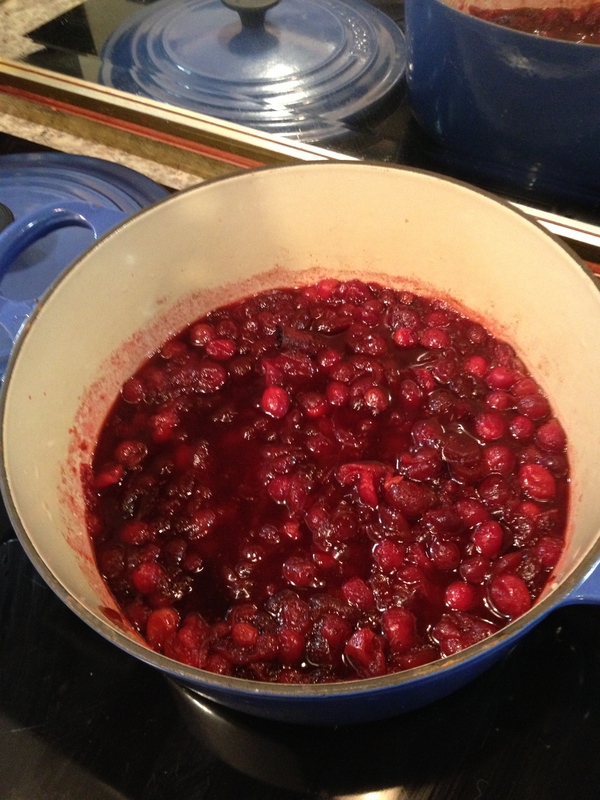 Then add about a cup of dried cranberries and let simmer another 3 – 5 minutes until they are all softened. 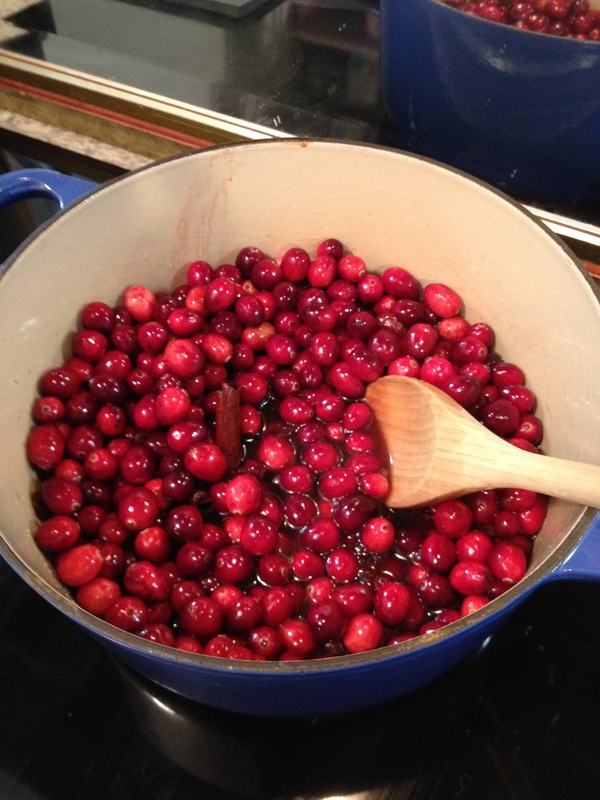 Next up, add the fresh cranberries, I usually do about 2 cups of fresh, or a 12oz bag. Add about 1/4 cup of sugar and a cup of water. Bring the heat back up to a boil, stirring while the sugar dissolves. The fresh cranberries may start “popping” at this point, this is good. Turn the heat back down to simmer and cover, occasionally checking and stirring until all of the whole cranberries are collapsed. This takes 20 – 30 minutes. Couldn’t be easier. Couldn’t be tastier. ENJOY! Voila is right! I can, practically, smell this heavenly sauce through the screen. You had me at port! We make an au jus sauce for a prime rib at Christmas that uses 2 bottles of cabernet and about 1/2 bottle of port. It’s divine! I am going to try this this year! Saying hi from CCN!